According to Maduro, more arrests could follow, efforts underway to dismantle an anti-government “terrorist” network in the country. 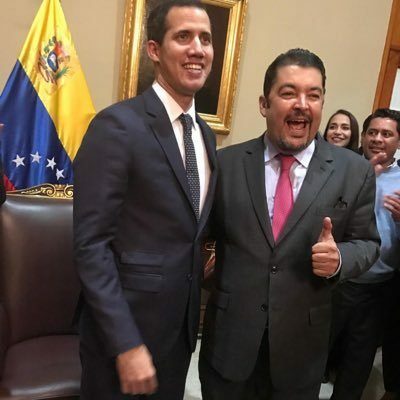 Guaido accused Venezuelan security forces of “planting” the seized weapons and “kidnapping” the detained individuals. Marrero alone remains in custody. In early February, Venezuela’s Deputy Minister for Prevention and Citizen Security Endes Palencia said the country’s National Guard and National Integrated Service of Customs and Tax Administration (SENIAT) personnel seized 19 rifles, 118 rifle chargers, 4 rifle holders, 3 gun sights, 90 radio antennas, and 6 mobile telephones. They were covertly flown from Miami to Valencia state’s Arturo Michelena International Airport – likely disguised as humanitarian aid, found at a storage facility, he explained. The Venezuelan Prosecutor’s Office ordered an investigation to identify individuals responsible for trying to escalate violence in the country. Security was tightened at all entry points. Imperialism is all about seeking dominance over other nations, doing whatever it takes to achieve objectives extrajudicially. “They have kidnapped (Marrero), my chief of staff (sic),” his whereabouts unknown. “(t)he European Union urges Mr. Marrero to be released immediately and unconditionally, and holds the relevant authorities responsible for his safety and integrity. All of the above remarks by foreign authorities reflect subservience to Washington’s imperial agenda – ignoring its flagrant violation of international law. The State Department named five Venezuelan officials involved in Marrero’s detention: Judge Carol Padilla, prosecutors Farid Mora Salcedo and Dinora Bustamante, along with intelligence officials Danny Contreras and Angel Flores. According to the Venezuelan chief prosecutor’s office, Marrero is being investigated for crimes, including a plot to kill Maduro. He’ll likely remain in custody until formally charged or released if exonerated. Washington’s only options are further sanctions and/or stoking violence and chaos by armed proxies or direct military intervention, the latter possibility highly unlikely – unless all else fails.